Zack Villere’s “Cool” is an incredibly uplifting song about insecurity. Zack Villere is a Covington, Louisiana native who also makes laid-back bedroom R&B tunes under his own name, as well as his monicker Froyo Ma. 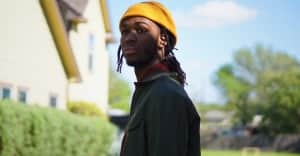 His newest video for "Cool," a relatable song about drastic swings in self-esteem, has quickly gone viral and already earned praise from Kari Faux and The Internet's Matt Martians. "Can you tell me that I'm cool?/ I've always wanted to be cool," he sings on the self-produced track. In the video, which was shot and edited by Ani Bharadwaj and animated by J'Von, Villere stares deadpan into the camera as he hits silly dance moves in front of a mirror and eventually strips down to his boxers in the middle of a park. It's pretty cool. "The video was just something fun I came up with. I wanna do way more videos when I have more resources to make stuff even cooler," Villere told The FADER about the clip. "I really didn't expect people to care as much as they seem to but I'm glad they do." As Froyo Ma, Villere has collaborated with the likes of Nick Hakim and Charlotte Day Wilson and also landed a placement on an episode of Broad City. "Cool" is taken from Villere's upcoming Little World album, which will arrive next month. Watch his video for "Cool" above.